Say you want to take a vacation to a warm paradise for just a few days. A Bahamas cruise from Charleston, SC offers such a deal. Arrive in this historic port, known for its churches and antebellum characteristics, and then set sail for this Caribbean country to enjoy the sun, surf, and activities by the water for a day or two, before you head home. 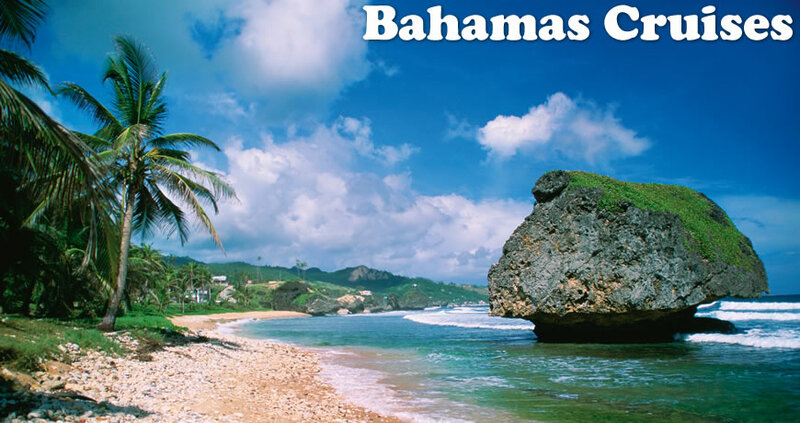 Carnival Cruise Lines operates out of this port, offering trips throughout the year to the Bahamas. As Carnival is the only line, contemporary or luxury, offering this itinerary, it presents multiple ships taking you out to the Bahamas. Older, smaller ships present the standard experience, while newer vessels, with the latest upgrades, give you a greater range of dining and entertainment choices. One of these round-trip cruises lasts four to six nights and may include a stop in the Western Caribbean region, depending upon itinerary. Half Moon Cay: This port serves as your introduction to outdoor activities in the Bahamas. Make sure to schedule at least one excursion to explore the region’s blue lagoons, and then, with the ample choices by the beach, you’ll have a chance to kayak, ride on horseback, or simply relax and enjoy the warm, azure waters. Freeport: One of the island’s major centers is situated near resorts and beaches, as well as a few natural wonders. Marvel at the Garden of the Groves, explore Lucayan National Park, or opt to stay by the beach – swimming with the dolphins, snorkeling, kayaking, or taking in the sun. Nassau: A cruise isn’t complete without a stop in Nassau, the Bahamas’ capital. This urban center stands out for its nightlife and pastel-colored buildings displaying colonial-era architecture. Here, you’ll have a chance to enjoy the rights or explore, as you’re near reefs, Predator Lagoon, and Blackbeard’s Cay. If you’re along the Atlantic Seaboard, consider starting your next Bahamas cruise out of Charleston. To explore itineraries and schedule your trip, browse Direct Line Cruises today.